Boys win thriller in split with Westside. 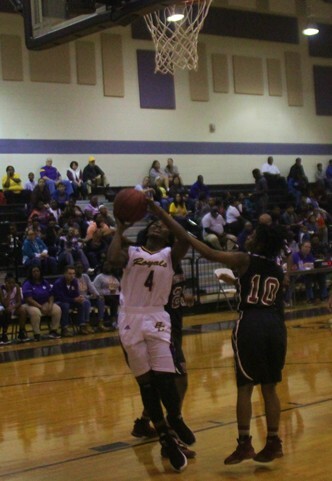 Jayla Willis is fouled on her shot attempt. 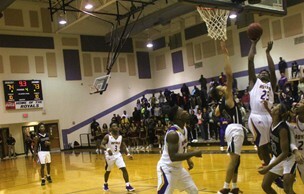 The homestand for BCHS continued Friday night against Westside-Macon. Though both teams have met in past holiday events, this was the first regular season matchup between the Seminoles and Royals. A Westside player tries to prevent Jalexia Taylor from scoring. 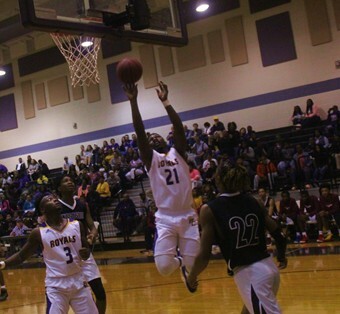 Marklayla Jenkins� eight second quarter points helped the Lady Royals to a 25-18 halftime lead. An 18-10 third quarter capped by a buzzer beater put Westside up one. Down by as many as six in the fourth, BCH got within two with 17 seconds left after Kziya Elvine hit one of two free throws. Alyssa Fortune squares up to shoot. BC got the rebound but couldn�t score. 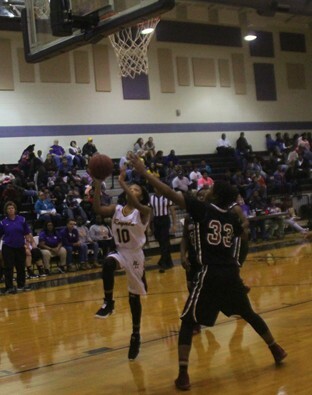 A layup as time expired made the final margin 50-46 Lady Seminoles. Jenkins finished with 18 points. 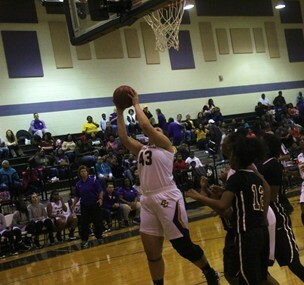 Alyssa Fortune scored 14 points. Middle Georgia State University was Friday's game sponsor. 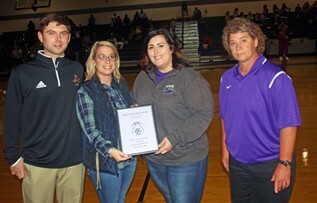 Pictured L-R are boys head basketball coach Garrett Collins, cheerleading coach Chelsea Tyner, Amy Ingraham, who works in accounting accepted the plaque on behalf of the university, and girls head coach Jenny Manning. The boys first half was �can you top this� in buzzer-beating shots. Nykeem Farrow drained a jumper to break a 13-13 tie after one quarter. A Seminole layup as time expired in the second broke what was a 29-29 tie. Westside scored again in the waning seconds of the third to go up 58-49. Shontavian Manuel goes up for two. A 14-0 run to start the fourth put Bleckley up three. WHS got within one several times. Bleckley was unable to build on their lead thanks in part to missing two one if ones then going one of two from the free throw line. Westside tied the score at 68 with 20 seconds left. A last second shot was short, and the game went to overtime. Mykel Anderson had the game winning shot. BC was down 74-73 with 21 seconds left following a pair of Seminole misses at the foul line. Mykel Anderson�s tip in with eight seconds left put the Royals ahead. A final shot by Westside fell short as Bleckley won 75-74. Anderson had 31 points. Farrow added 25 points. 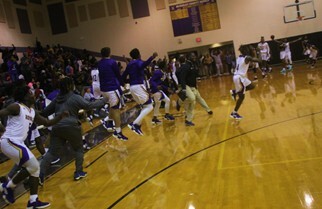 Players react after the win. The homestand wraps up tomorrow against Perry at 6 pm.